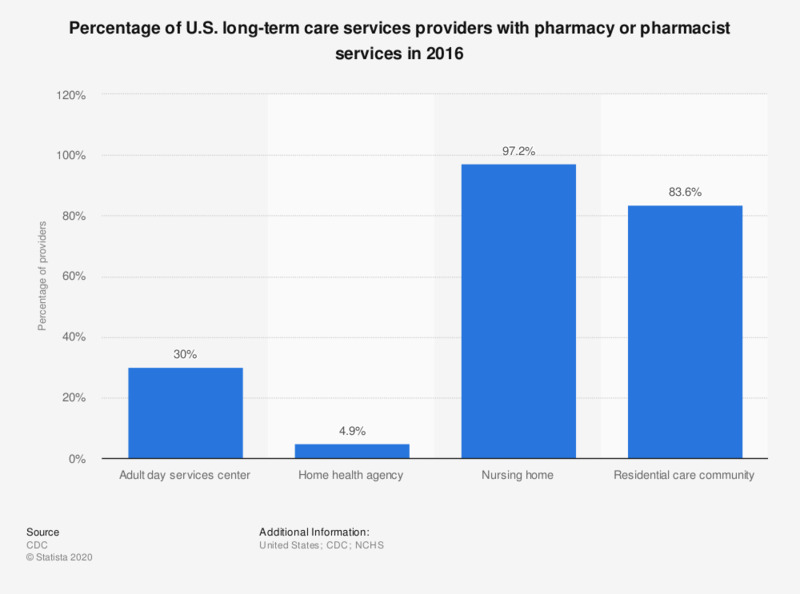 This statistic shows a percent distribution of U.S. long-term care services providers with pharmacy or pharmacist services included in 2014. In adult day services centers in the United States, 27.3 percent also provide a pharmacy or pharmacist services for its patients. Long-term care services account for a variety of services such as health, personal care, and supportive services dedicated to frail older people and adults with a limited capacity for self-care in cases such as injury or mental disability.